Now this is the second outfit from my recent photoshoot with photographers Jaime of ‘Hidden Exposure Photography’ and Doug of ‘Never Forgotten Photography’. 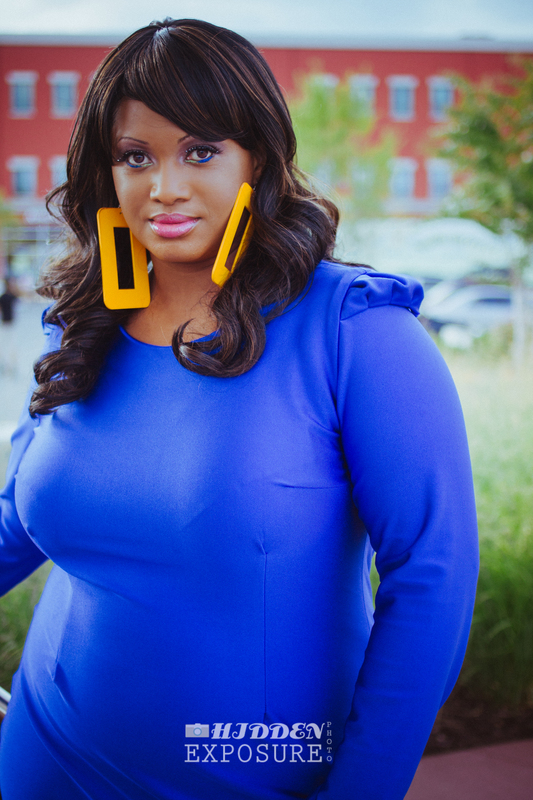 It is the “Afripop Pencil Dress in Cobalt” from designer Rue 114. Honestly this is one of my favorite dresses that I’ve done a blog on. The blue in the dress is so bright and the material, which is nylon and spandex, feels so smooth and perfect on. 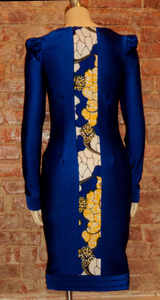 The unique detail about the dress is the strip of yellow African print down the center of the back of the dress. There is a pleating detail at the shoulder, hem and wrist area of the dress giving it a tailored effect. 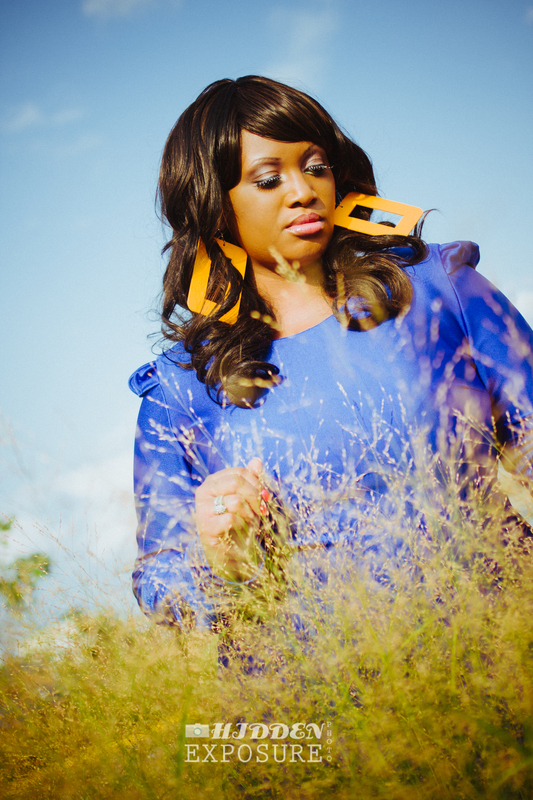 Rue 114 is created by designer Serwah Asante, and she infuses her African roots into every piece that she designs. I respect the fact that on her website she uses both straight-size and plus-size ladies to model her clothing which goes from a size S-2X. Being that the blue was so richly colored I added a bright orange pump to contrast with the yellow in the back of the dress. The Afripop dress is from the collection entitled, ” ET DIEU CRÉA LA FEMME” ( meaning, “And God Created Woman”). But Serwah will be debuting her newest collection during the “Curvy Closets” Fashion Show in Philly on September 1st and I’ve already seen some of the new items and Rue 114 fans are going to be thrilled. Fantastic! That colour looks AMAZING on you!